Staff now have access to Google Teams. This should be great for stage teams, KLA teams, executive and office teams to have a central location for shared files. 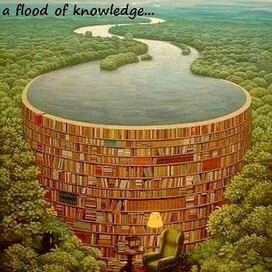 It can also be used with students. Members can add a document to the team drive and others from the team can edit or simply review and give feedback. This will eliminate the need for saving to thumbdrives and emailing documents from one person to another. Google's Team Drives has been launched. Staff will notice a new Team Drives link when they go into Google Drive using their DoE Google account. As we draw closer to the decommissioning of MyFiles, tools like Google Team Drives will offer practical cloud-based shares for alternatively accessing work files. While students are unable to create their own Team Drives, teachers can invite their students to existing Team Drives that they have created. We hope you find this great team collaboration tool useful! Google Earth Web is now included for all DoE G Suite users! A link will be added to the G Suite portal page, but as of now, as long as you have signed into the portal and are using the Chrome browser, it can be accessed using the above link. By signing into G Suite before launching Google Earth Web, the places you explore can be saved and retrieved. 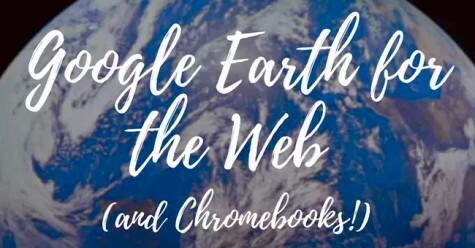 Enjoy discovering our planet without the need to download and install the separate Google Earth program - which means it also works on Chromebooks! Many teachers wonder why it's difficult for some of their students to send them email messages. This is typically because teachers all have an email address in the @det.nsw.edu.au domain (Outlook), while students are in the @education.nsw.gov.au domain (GMail). But there's a simple trick that you can ask your students to do to make it really easy for them to email you in the future. Just send them all an email from your Outlook webmail with instructions to add you to their GMail Contacts. When they get the email, they simply hover over the plain avatar next to your (the sender's) name and then click Add to Contacts. Then they can just type your surname into the To box when composing an email to instantly find your email address.